2034: Evangelical secret agents, fast food moguls, the voice of God in computer software, violence in the Bermuda Triangle! George W. Bush’s foreign policy vindicated by a quick victory in Iraq, lucrative invasions of Egypt and Syria followed, bringing unparalleled prosperity to America and setting off thirty years of right-wing rule. But when a war in Iran goes bad–and the resulting cover-up goes worse–the democrats reclaim the presidency. This is the time of Pax Americana and its zealous anti-hero, government agent Tuck Squires. 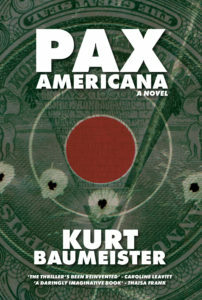 Reading the ironic silences between the lines of the thriller, and roaring like a jet engine, Pax Americana is a sacrilegious, conspiratorial monster; like a literary dogfight between Ian Fleming and Robert Anton Wilson, loaded with prophecy, Baumeister’s debut is an exorcism and an antidote for our era. 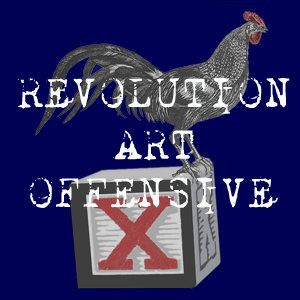 This entry was posted in Uncategorized and tagged Archer, caroline leavitt, Chuck Greaves, Darin Strauss, excerpt, Kurt Baumeister, Literary, Martin Amis, Novel, Pax Americana, politics, satire, Sean Beaudoin, Shya Scanlon, Thaisa Frank, The Weeklings, thriller, Vonnegut. Bookmark the permalink.